Marion Elizabeth Hannigan (nee Holcomb) was born to Everand Ross Holcomb and Alice May Holcomb (nee Watters) on their farm near Welland, Ontario on March 16, 1926, and passed away peacefully with her family by her side on Monday, December 10, 2018. Marion was the middle child in a family of seven, all born on the farm where she grew up. Her family consisted of Norma, Jean, Clyde, herself, Murray, Marjorie and Helen. She has two surviving siblings, our Uncle Murray and Aunt Helen. Marion sandwiched between the boys was adventuresome. She was nicknamed Billy at the time for her ability to keep her brothers on their toes. Her capability to deal with boys would serve her well when her own family of six boys and one girl eventually came along. Times were lean growing up on the farm in the 20’s and 30’s but happy. Marion said there was always plenty of food with a large orchard of apples, sweet and sour cherries, pear trees, a large garden, cattle, pigs, chickens and sheep. She loved attending school and was a bright eager student. Sadly, money was scarce and she was only able to attend up to grade eight. She said she cried bitterly that fall when her classmates were returning to grade nine and she had to remain home. Marion soon became employed outside the home working for neighbors, cleaning and helping with childcare. At the age of 16 her mother helped her find a job as a medical office assistant to Dr. Hignal in Welland, Ont. Marion spoke of his kindness to her and loved her job at the office gaining some medical knowledge and providing her with pocket money for a few trips with friends into Buffalo, New York to go shopping. At 19 years old Marion set out on a new adventure. She left by train from a sunny green Ontario and arrived to a cold dreary March day in Saskatoon. She was moving for a job opportunity to work on a farm for her sister in-law Beaulah Hannigan’s mother, Cora Hannigan in Viscount, SK. This is where she met one young Albert Hannigan in the dairy barn, singing while milking cows and life was forever changed. In Viscount Marion worked in the house, milked cows and tended the bees with Albert. She attended Bethel Bible School in Saskatoon in 1945-1946 where she gained lifelong friends. Marion and Albert amidst busy lives, had time to fall in love and married October 11, 1947 at Visount, SK. Their first son, Garry was born July 1948 in Saskatoon. The next year 1949 they found land to purchase in Big River and began their 27 years of dairy and grain farming along with Albert’s brother Garth Hannigan who had a hog operation. The rest of their children were born during those years at Big River, David in 1950, Brian 1951, Ron 1955, Murray 1958, Lorna 1962 and Neil 1963. Marion often talked about chopping wood and melting snow while Albert was away hauling logs and having the three oldest under three years old in the house. Life on the farm was busy with seven children, selling milk and cream out the door, washing and sterilizing milk bottles and cream separators. Yet mom still had time to read us a story book at night, plant a huge garden, and always welcomed many guests and cousins into our home. In 1974 Albert realized his dream to become a full time beekeeper, and they moved to Shellbrook and built their first home in 1977. Marion and Albert traveled extensively with Albert’s ministry work and some just for pleasure too. Marion took pride in her whole family, she was a champion, a defender, often undisclosed to her family. She was welcoming and hospitable even to the end of her life with the home care nurses and the staff at the hospital. Marion and Albert were so wonderful together for 69 ½ years, they mutually admired each other and were still very much in love. We will so dearly miss our beautiful mother, but are so happy mom and dad are reunited. Marion is lovingly survived by her daughter-in-law, Barb Hannigan and family: Ryan; Marissa and children, Ryley, Sebastien and Alexa; David (Ruth Anne) Hannigan and family, Crystal (Stephen) and children, Zechariah and Chavah; Andrew (Natalie); Brian (Marjorie) Hannigan and family, Bryce (Julia) and children, Karina and Juliana; Robin; Kelly (Victoria) Beckett and daughter, Vera; Matthew; Ron (Lynette) Hannigan and family, Adrienne (Jeremy) and children, Gavin and Hunter; Brett (Jenn); Jeremy (Yukari); Murray (Ruby) Hannigan and family, Lydia (Matthew) and children, Dayton and Madison; Jordan (Nicole) and children, Hudson and Isla; Daniel (Tammy); Lorna (Garry) Neufeld and family, Dale; Joel (Nicole) and son, Liam; Allyssa (Cole) and daughter, Elsie; Douglas; Andy; Neil (Linda) Hannigan and family, Ross; Marcus; Colin; her sister, Helen Hissem; her brother, Murray Holcomb; as well as numerous nieces, nephews, other relatives and friends. Marion is predeceased by her husband, Albert Hannigan; her parents, Everand and Alice Holcomb; and her dear son, Garry Hannigan. 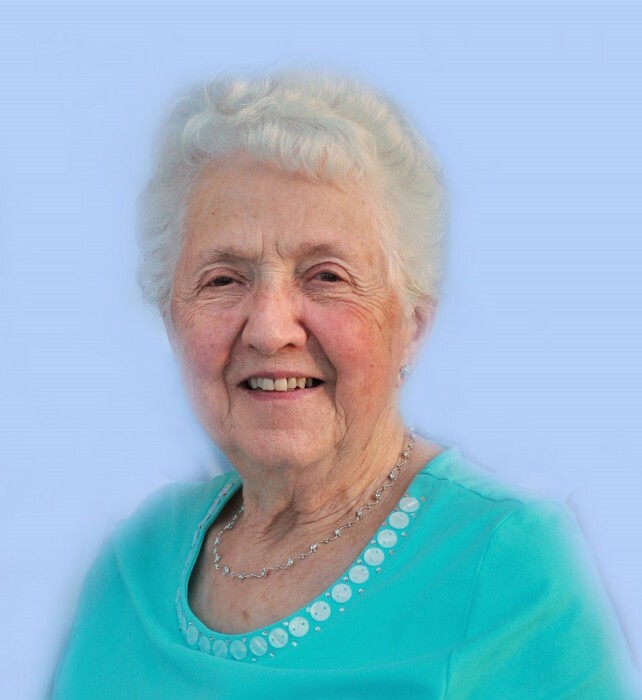 The family of Marion Elizabeth Hannigan, would like to invite everyone to join them on Saturday, April 27, 2019 at 2:00 pm from the Shellbrook Community Hall to Celebrate the Life of Marion. There will be a short service followed by a time of refreshments and fellowship in the hall.A life so beautifully lived deserves to be beautifully remembered. In lieu of tributes, memorial donations may be made in memory of Marion to either the Global Missions Inc. Box 878 North Battleford, SK S9A 2Z3 or to the Shellbrook & Districts Health Services Foundation – Acute Care. Those wishing to share condolences are welcome to visit www.beaulacfuneralhome.com Arrangements have been entrusted to the care of Beau “Lac” Funeral Home, Tammy Smart – Director (Shellbrook 306-747-2828). There's still time to send flowers to the Celebration of Life at the Shellbrook Community Town Hall at 2:00 PM on April 27, 2019.